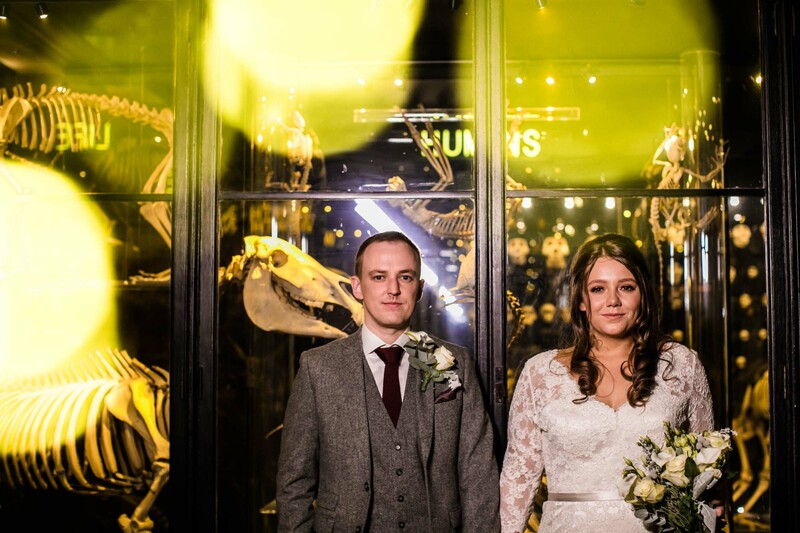 Manchester Museum Wedding Photographer | Featuring Stan The T-Rex! 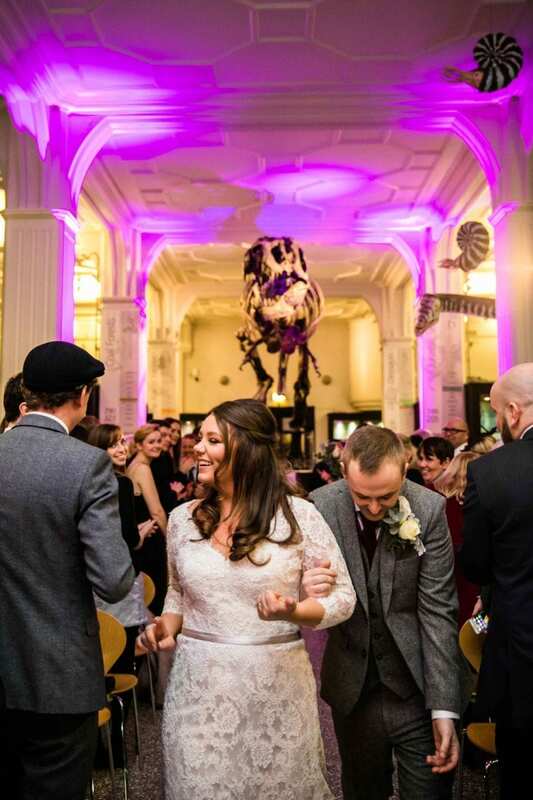 Amy & Roy’s wedding at Manchester Museum took place just before Christmas. 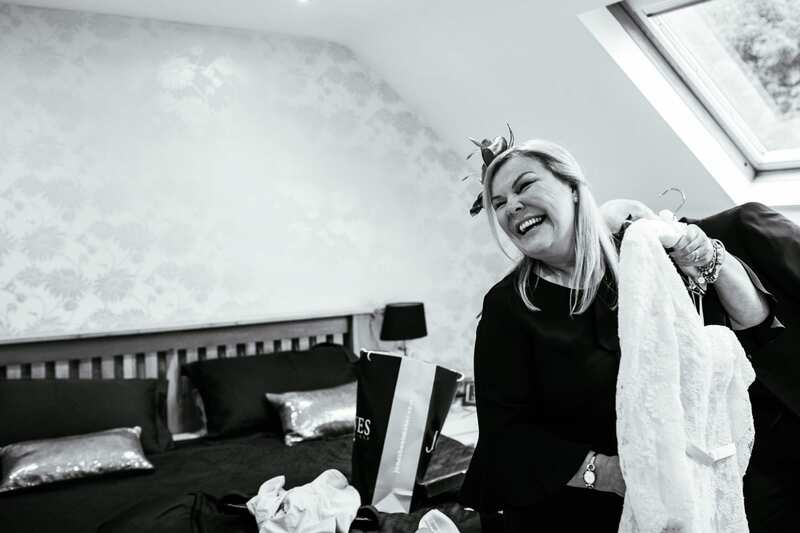 It was great fun to shoot this relaxed and informal wedding day as the guests were most definitely in the festive party mood! 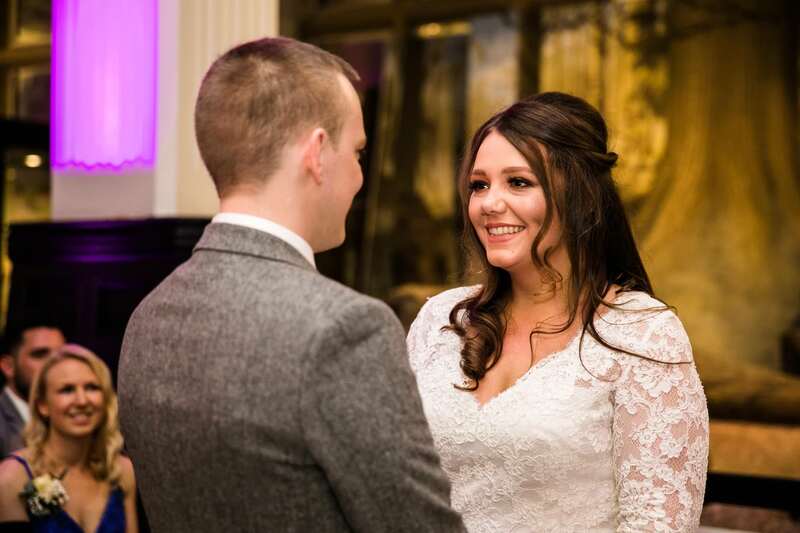 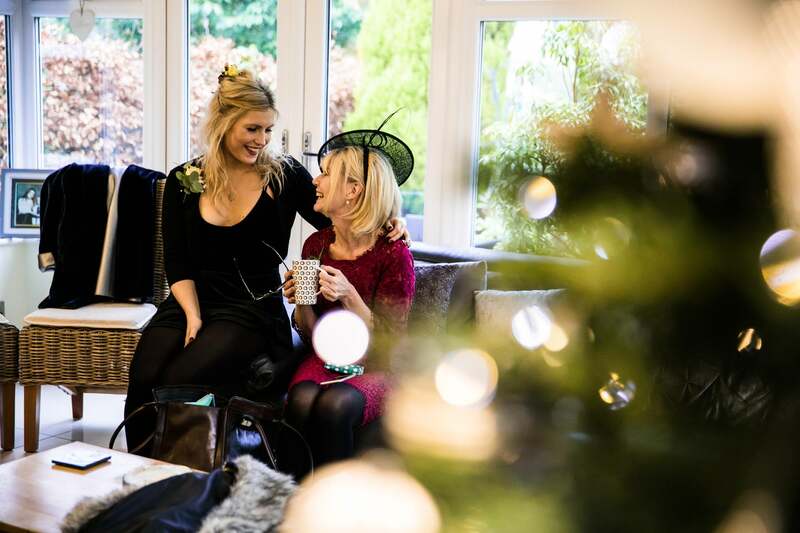 I left Amy & Roy’s winter wedding feeling very Christmassy indeed! 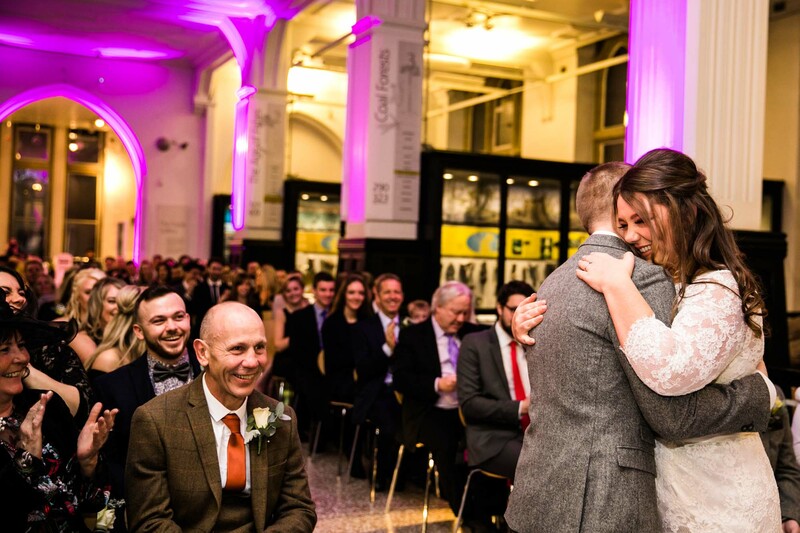 Amy & Roy held their ceremony in the main room at Manchester Museum. 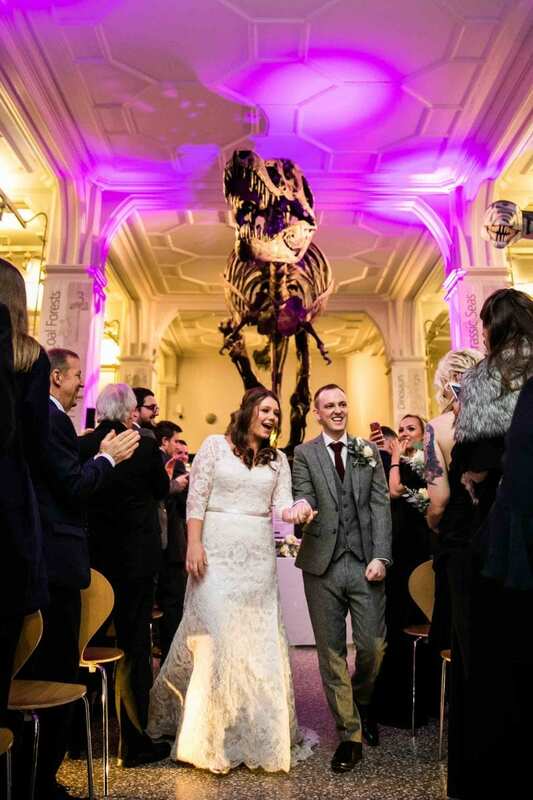 It was great fun to see them get married under the dramatic figure of Stan the T-Rex. 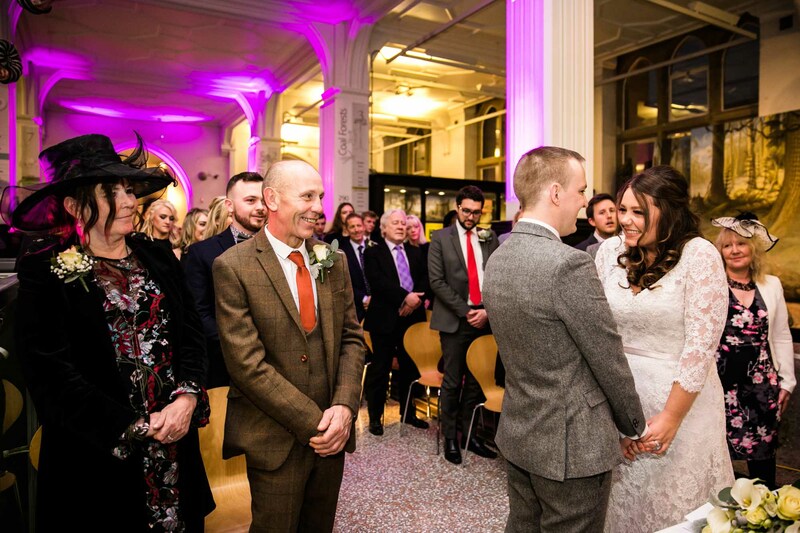 All the guests enjoyed seeing Amy & Roy say their vows under Stan’s watchful eye. 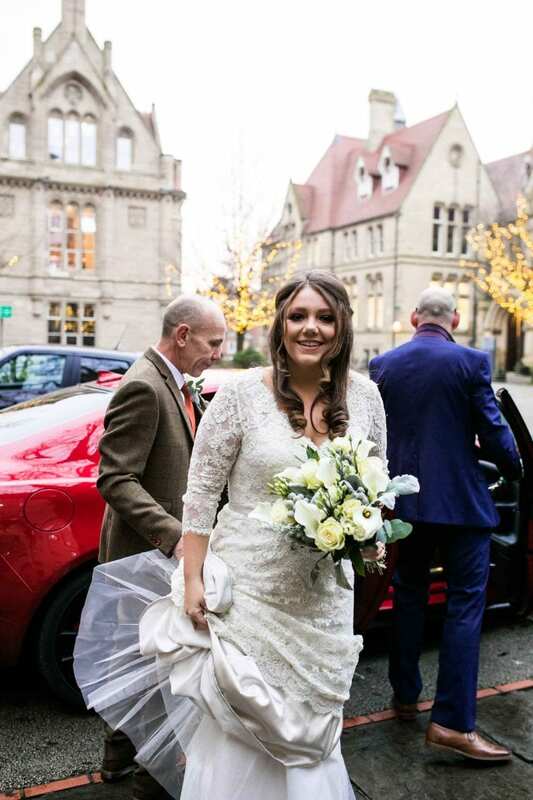 After the ceremony, we headed to The Oast House in Spinningfields for the reception. 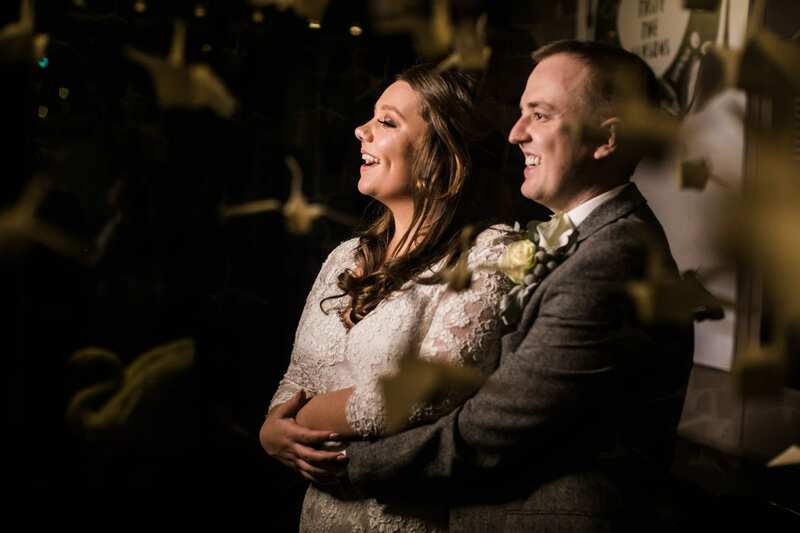 Amy & Roy’s guests enjoyed sharing a meal in the cosy tipi before hearing the speeches. 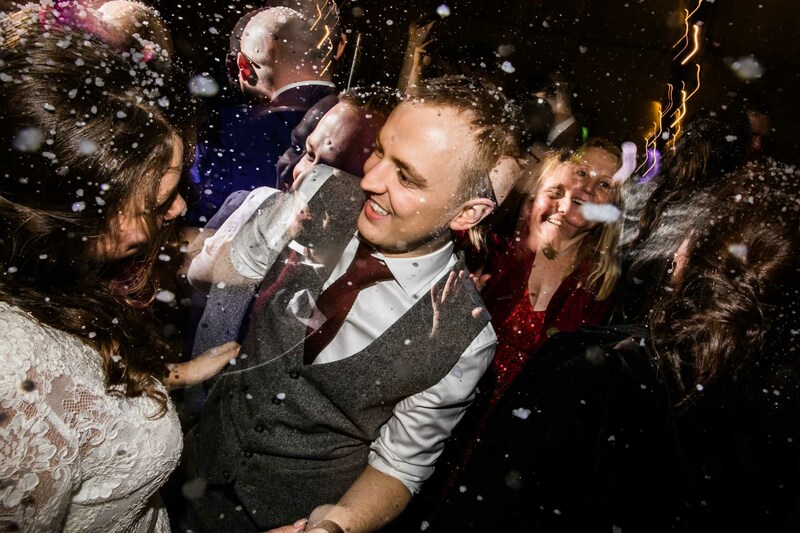 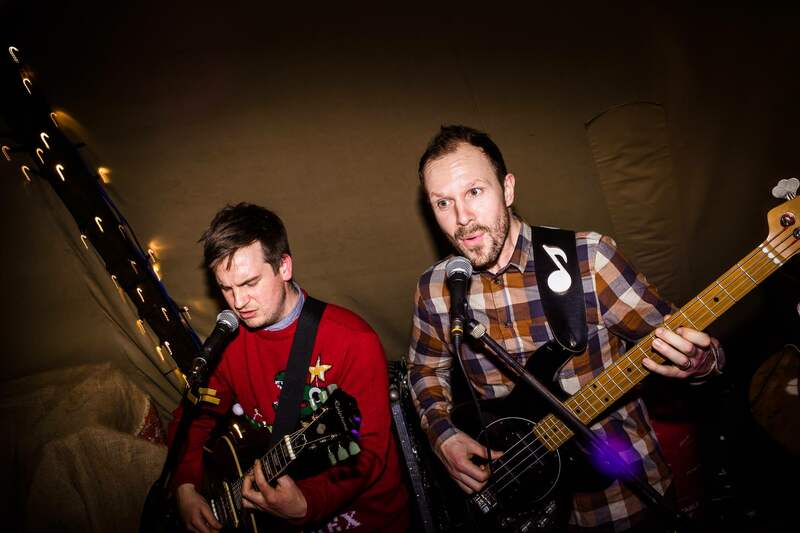 We were then treated to live music with a snow machine on the dance floor, which was brilliant fun! 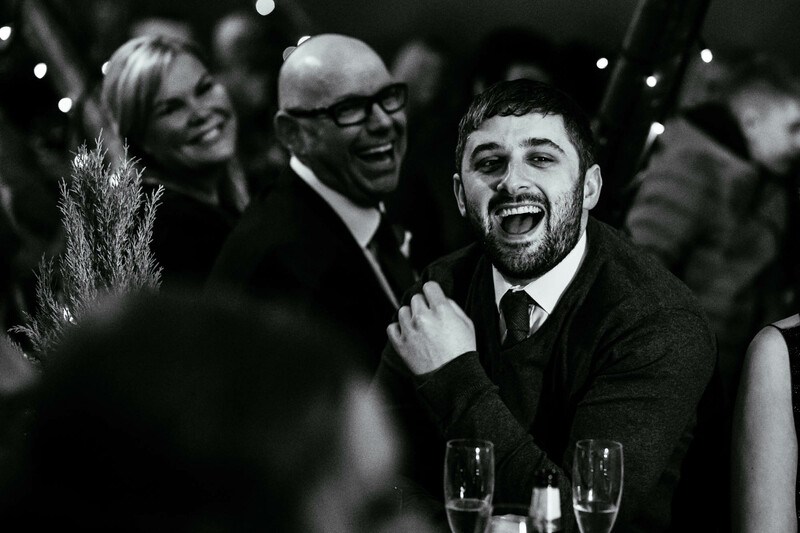 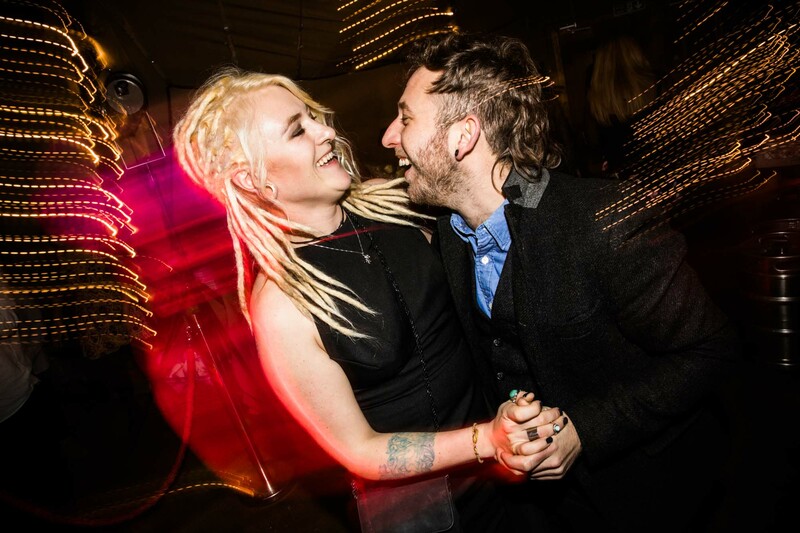 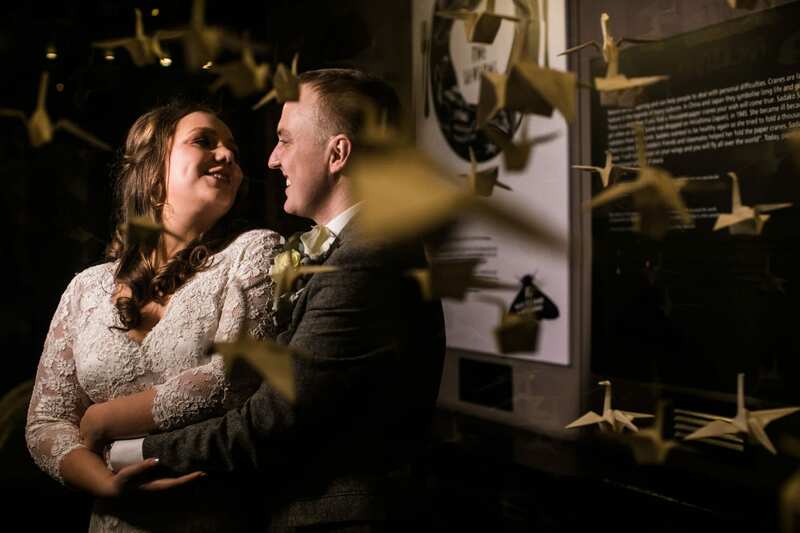 Amy & Roy’s winter wedding at Manchester Museum had a festive style, without being overwhelmingly Christmassy. 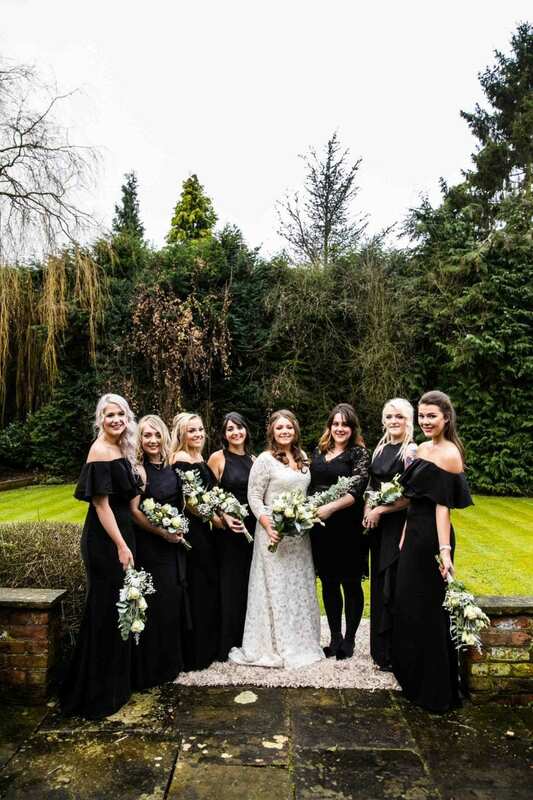 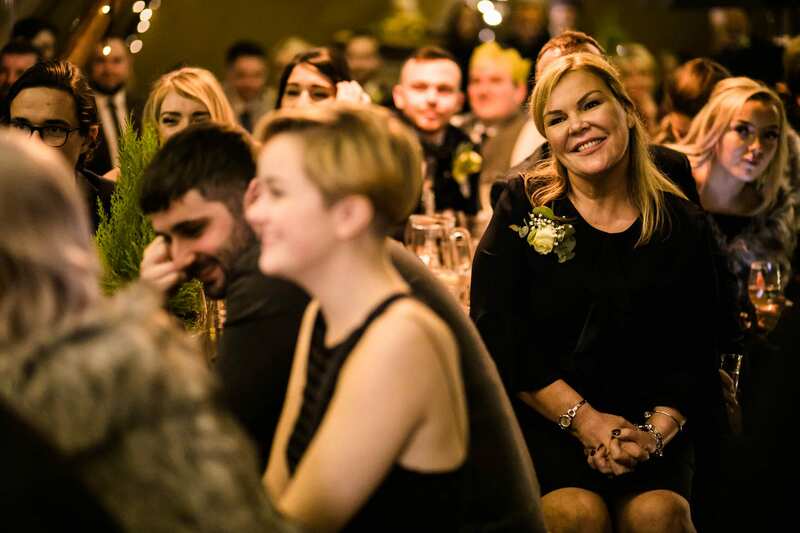 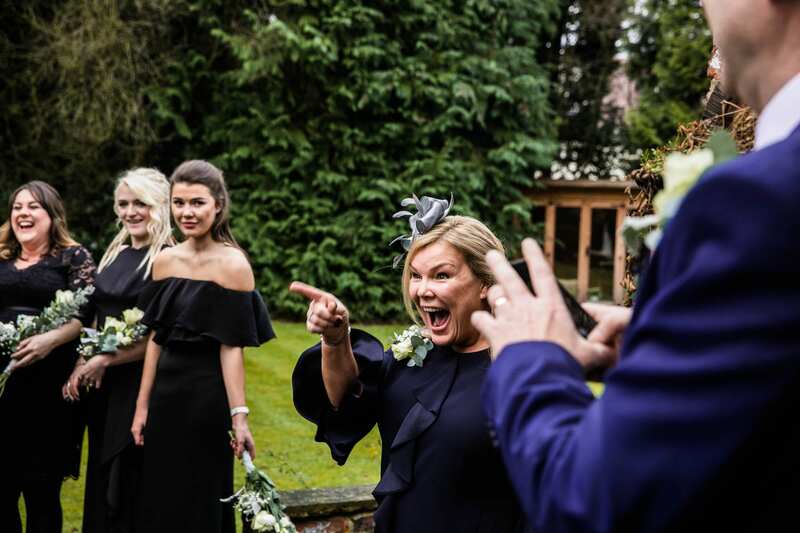 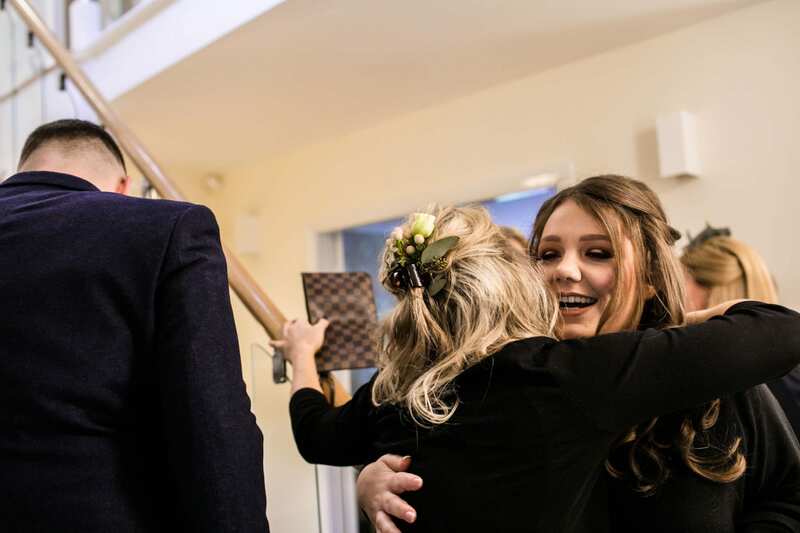 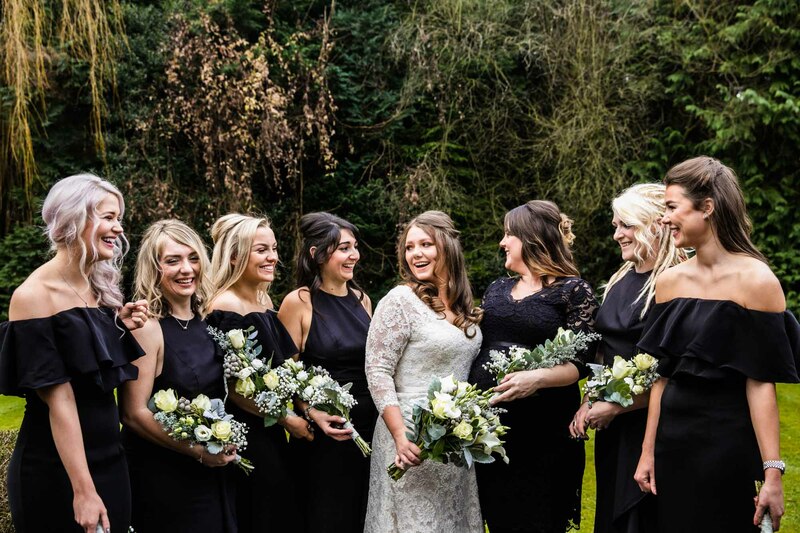 I just loved the black bridesmaids dresses which Amy’s girl’s wore, which looked so stylish and spot on for a winter wedding in Manchester. 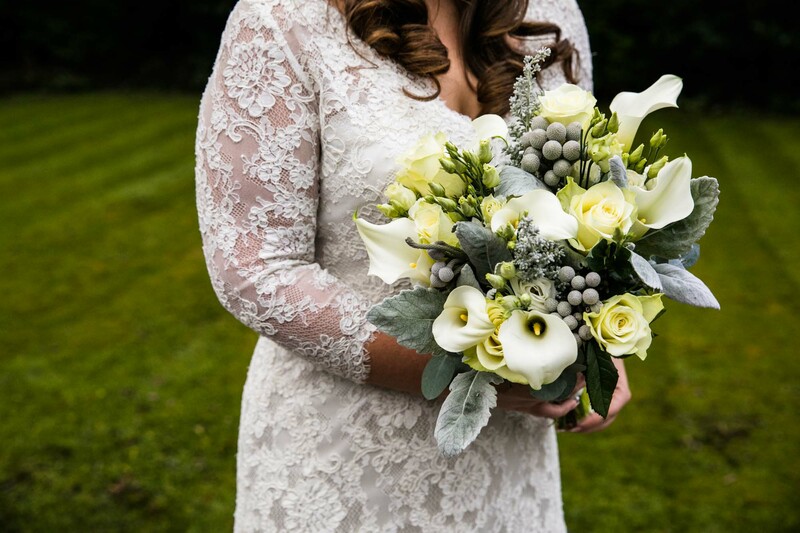 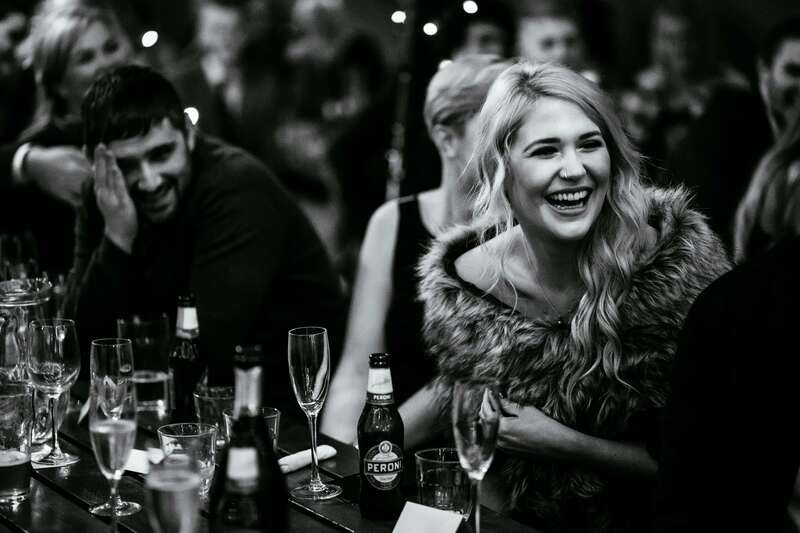 Amy & Roy kept the rest of the details simple, as both their venues had a cosy wintery theme and only needed simple decorations. 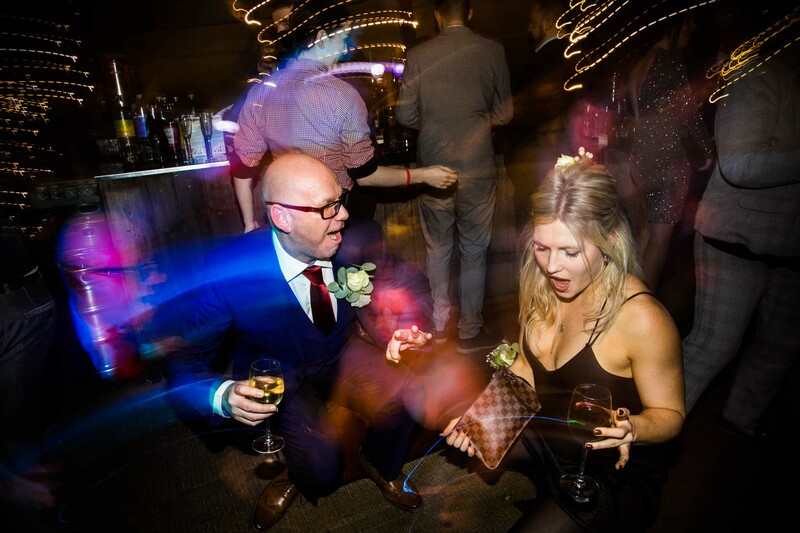 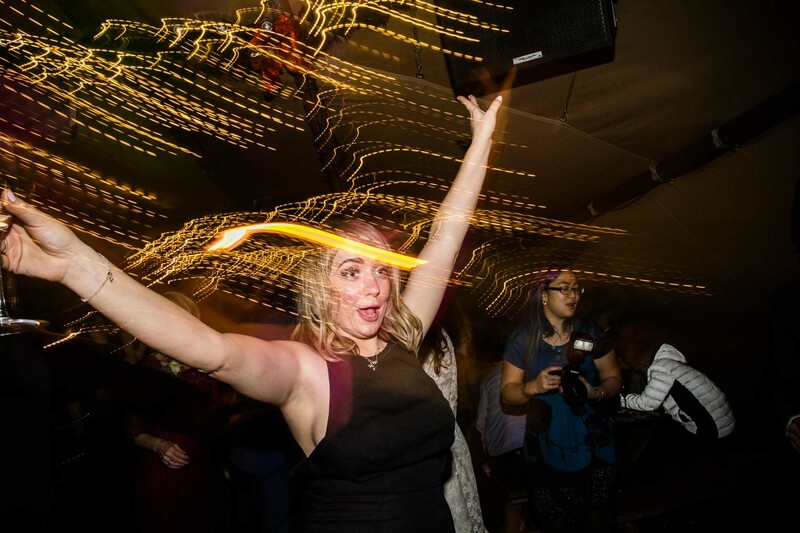 The emphasis was on their guests having fun, and that’s exactly what happened! 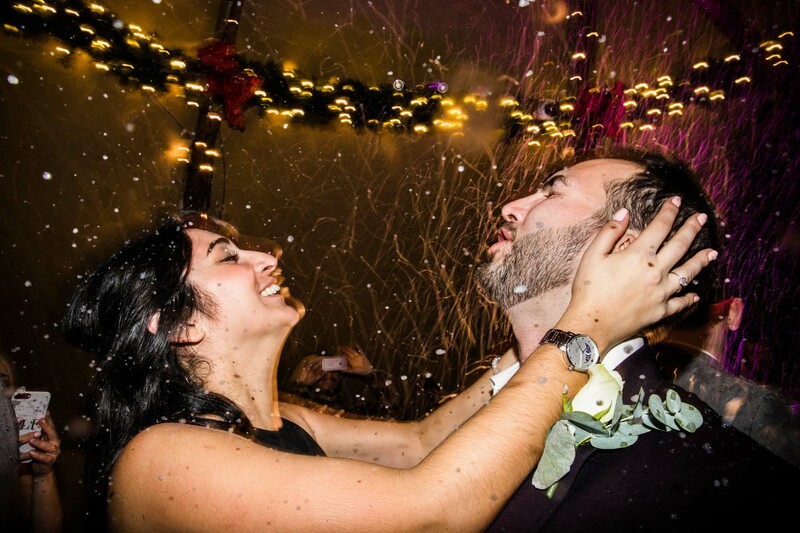 My prevailing memory from this wedding is blasting out Mariah Carey’s All I Want for Christmas is You whilst getting pelted with fake snow! 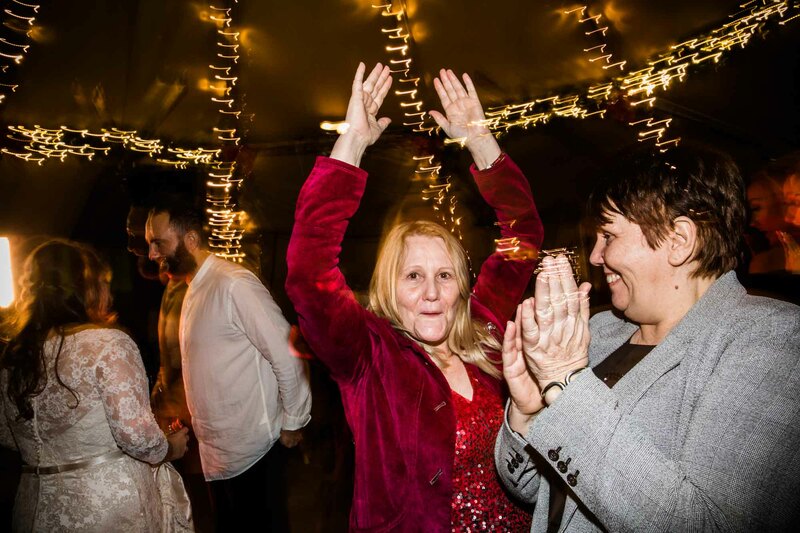 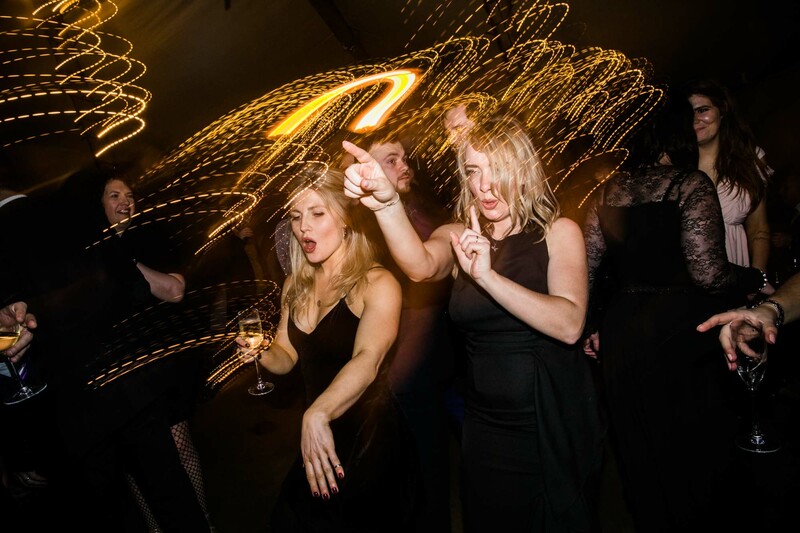 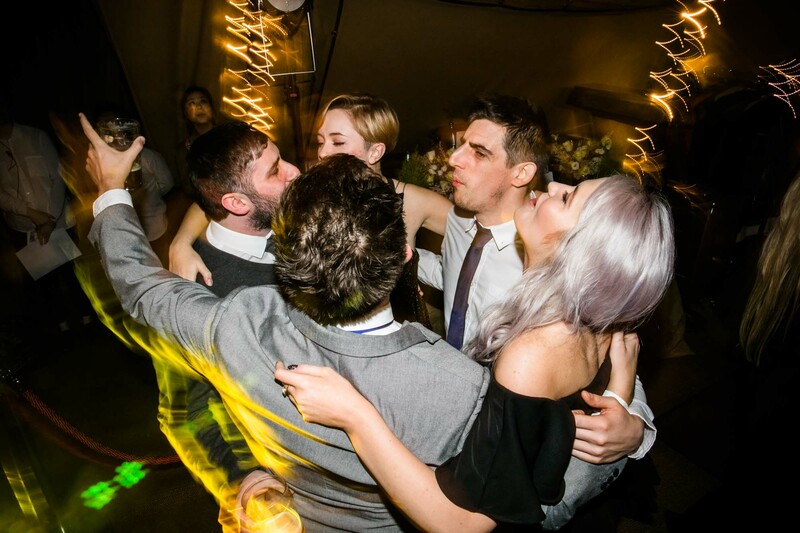 Now that’s the way to get the dance floor going! 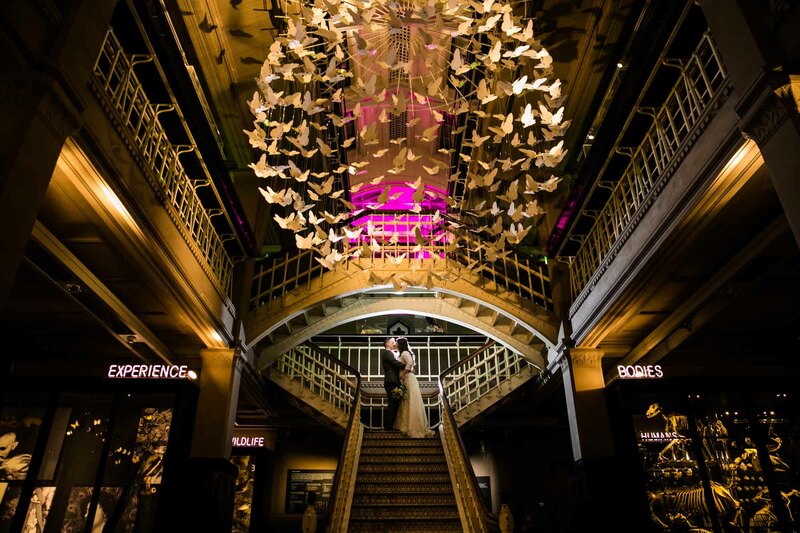 It’s such a pleasure to shoot a wedding at Manchester Museum as the venue is so interesting. 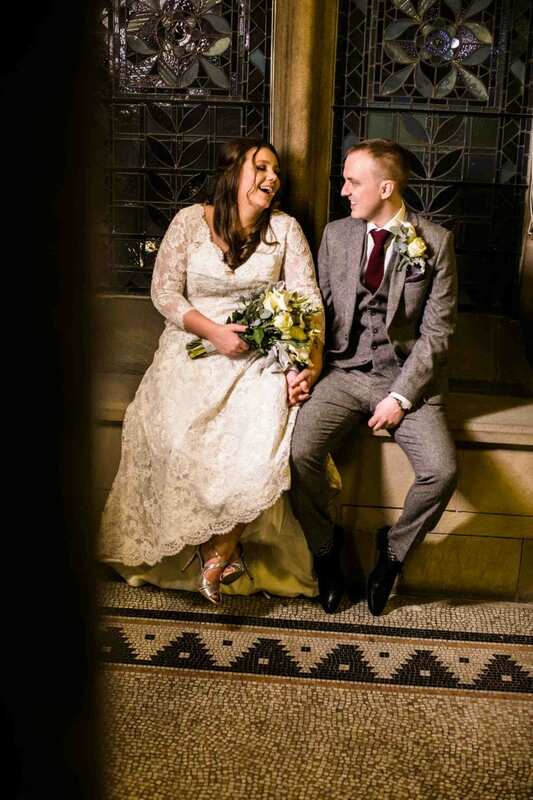 It’s rare to find a wedding venue in Manchester city centre that is so historic and jam-packed with quirky details. 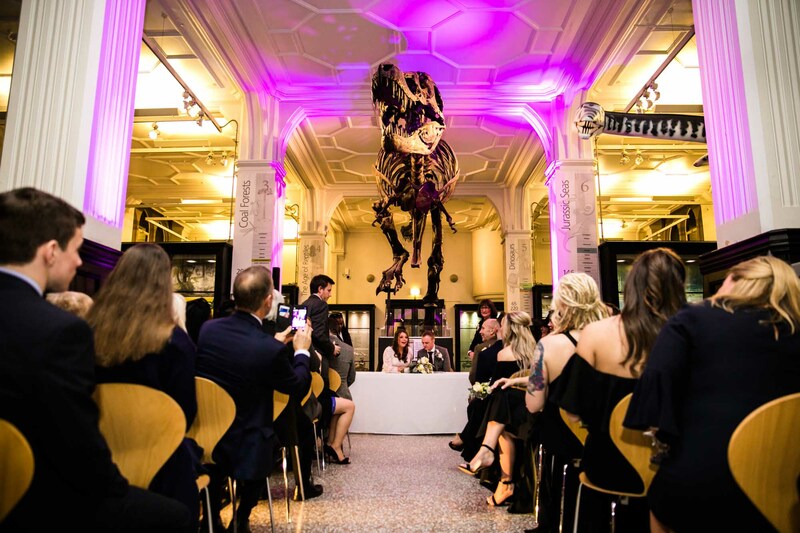 The ceremony room looks so cool with Stan the T-Rex looming large in the background. 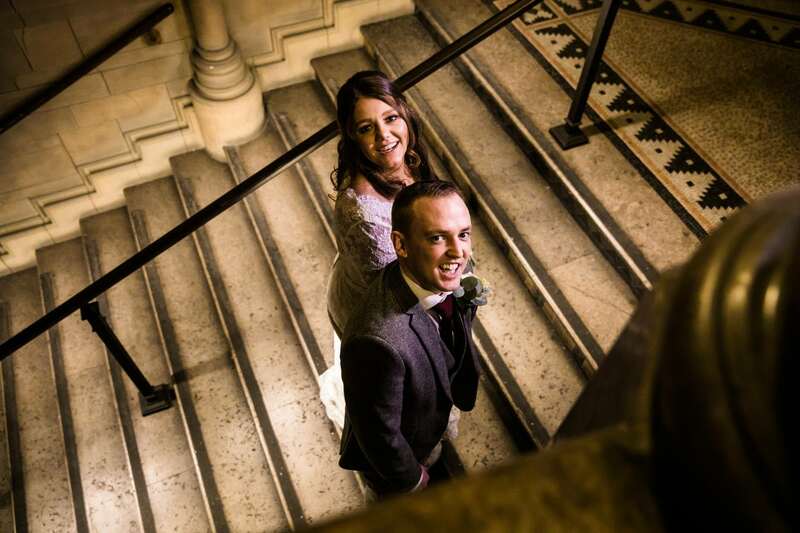 And we were spoilt fo choice when it came to Amy & Roy’s portraits around the museum. 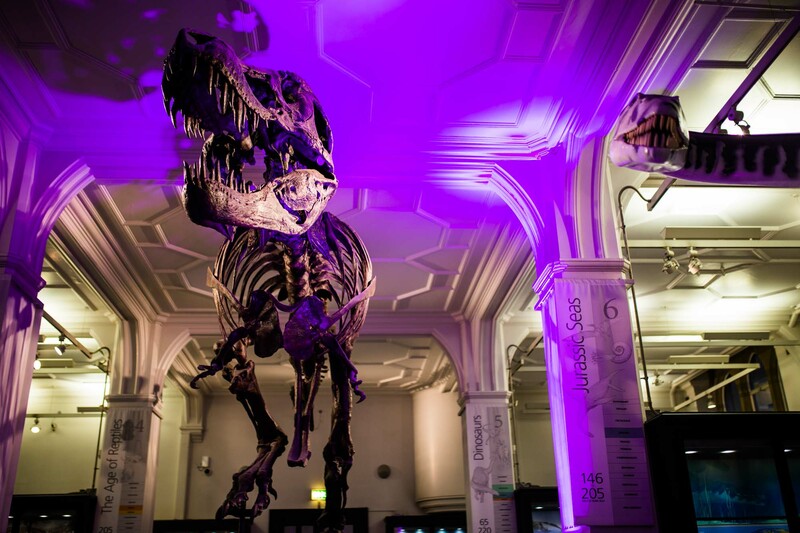 The guests were also entertained by all the exhibits there were to see during the drinks reception. 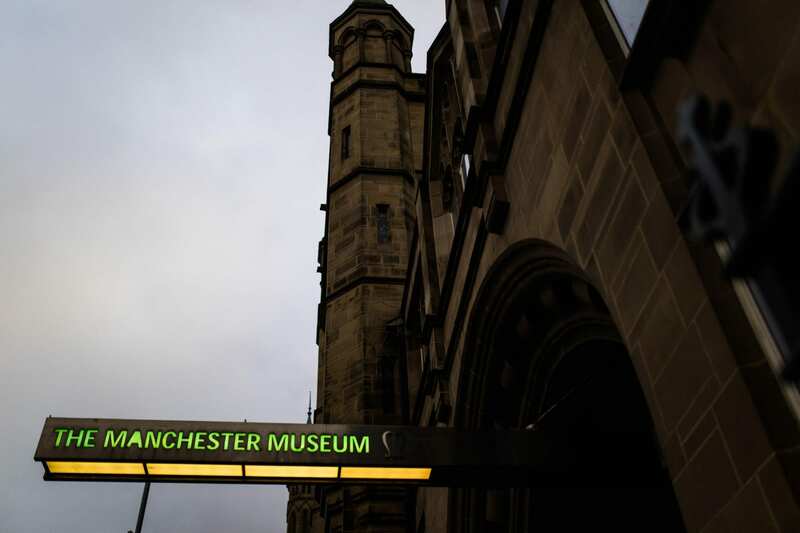 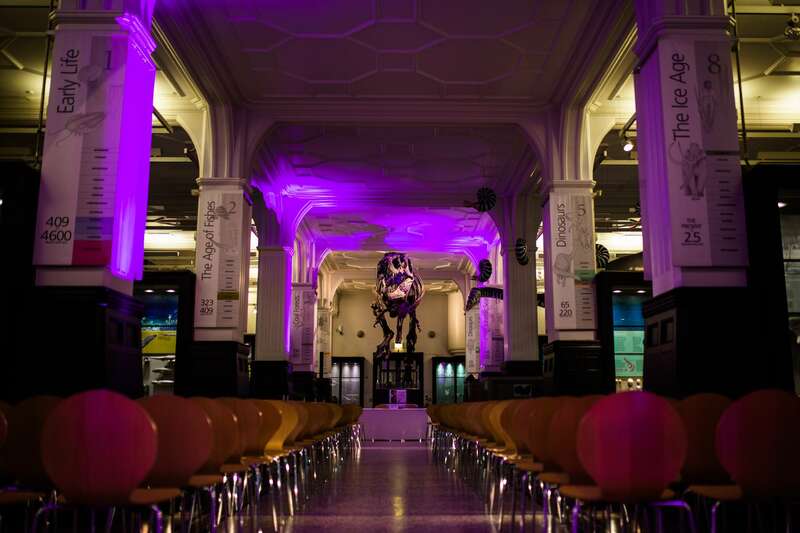 If you’re looking for somewhere a little different to get married, Manchester Museum is a great choice! 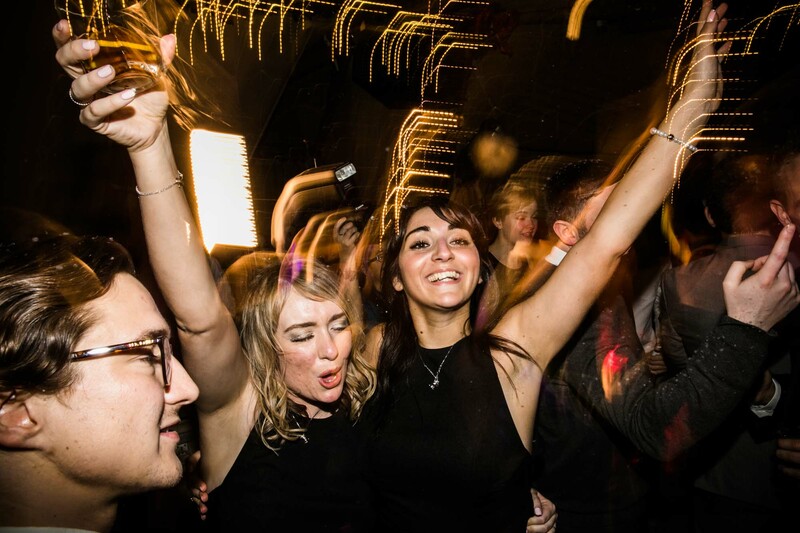 Located on Oxford Road in the student area of the city centre, this venue will bring the back nostalgia of school trips and university days. 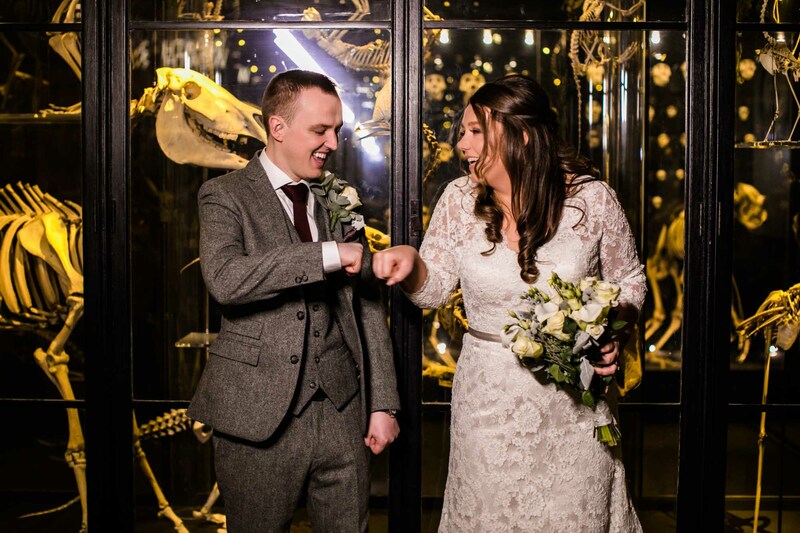 There is a choice of two ceremony rooms in which to get married: under Stan the t-rex or in the animals gallery. 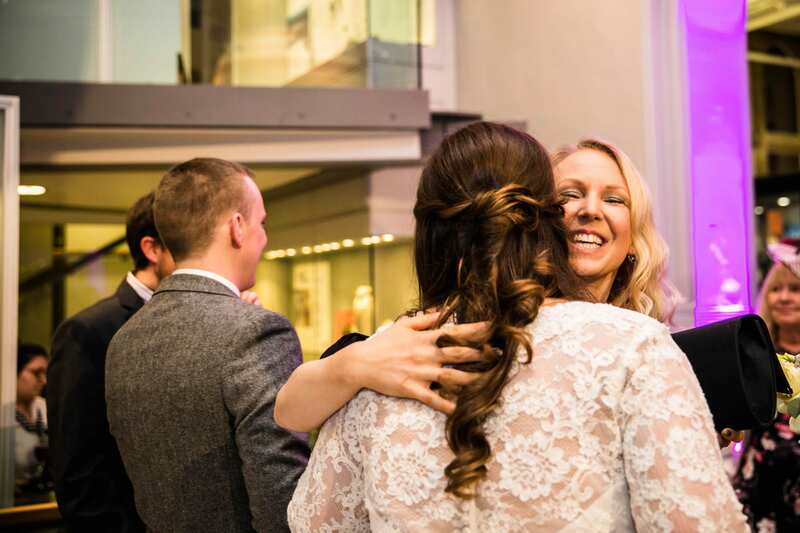 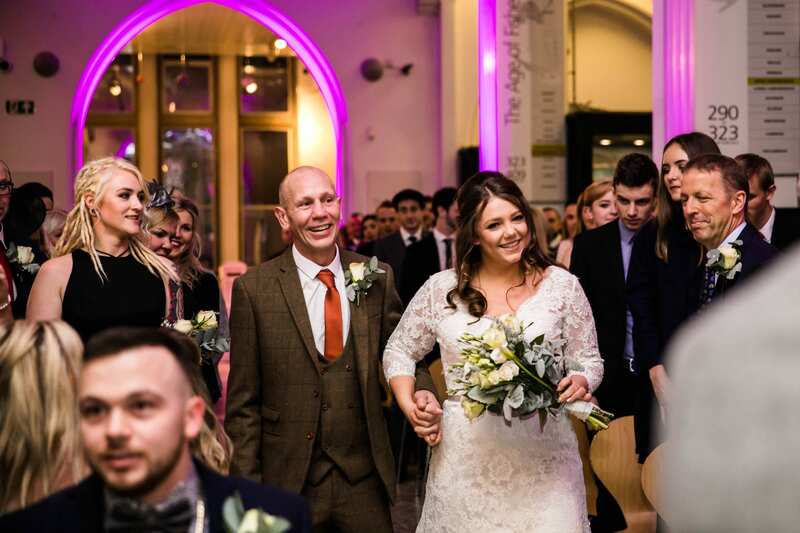 Although Amy & Roy decided to move on to The Oast House for their reception, you can also hold your wedding reception at Manchester Museum. 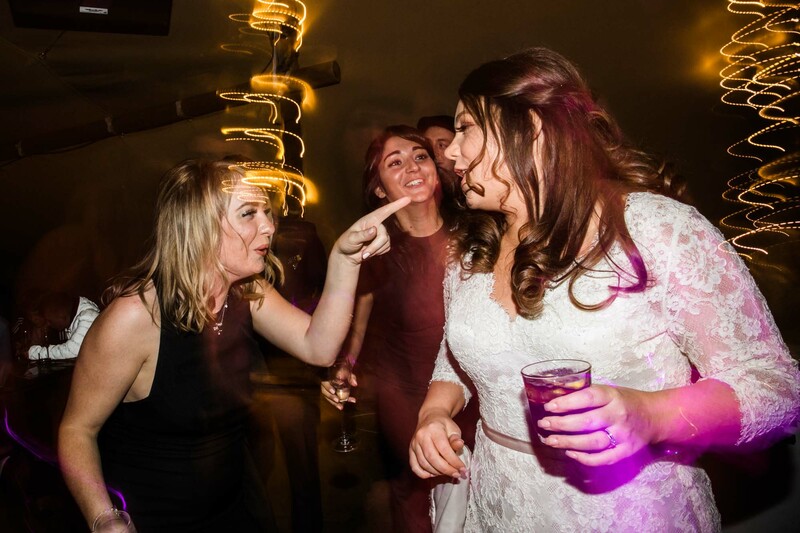 It’s the perfect choice if you’re looking for a venue with a rich local history with a quirky feel. 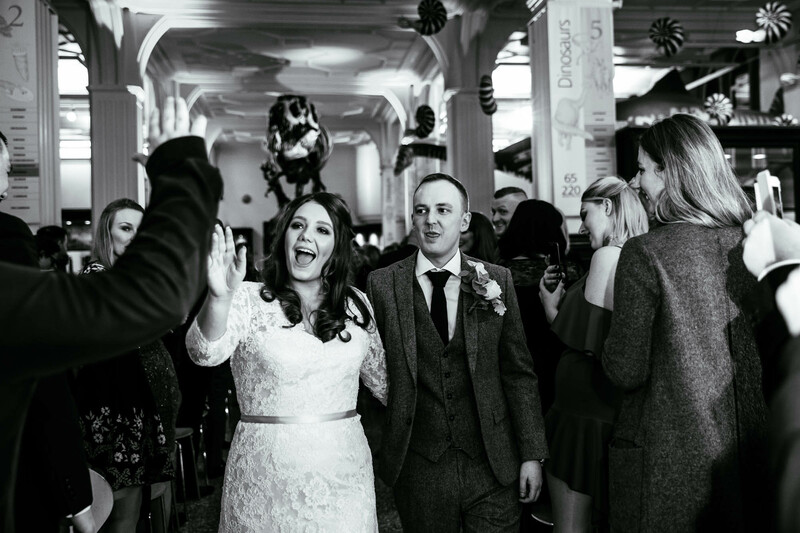 Your guests are going to remember Stan the dinosaur for sure! 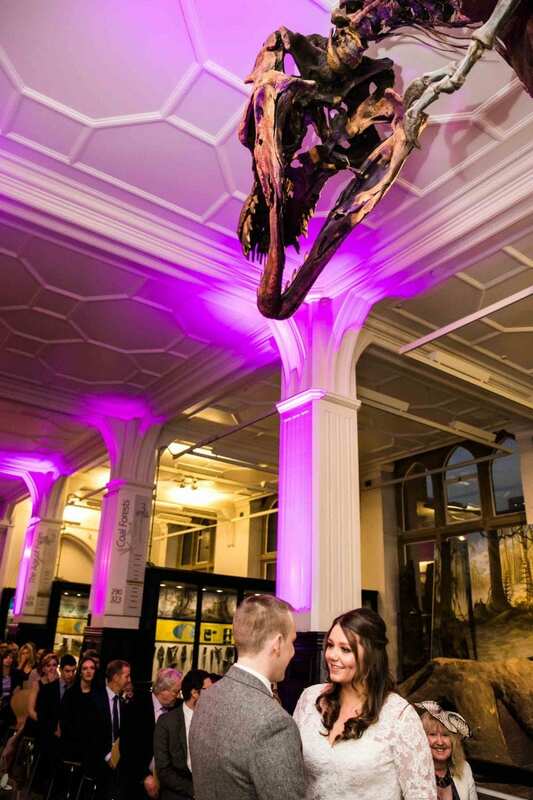 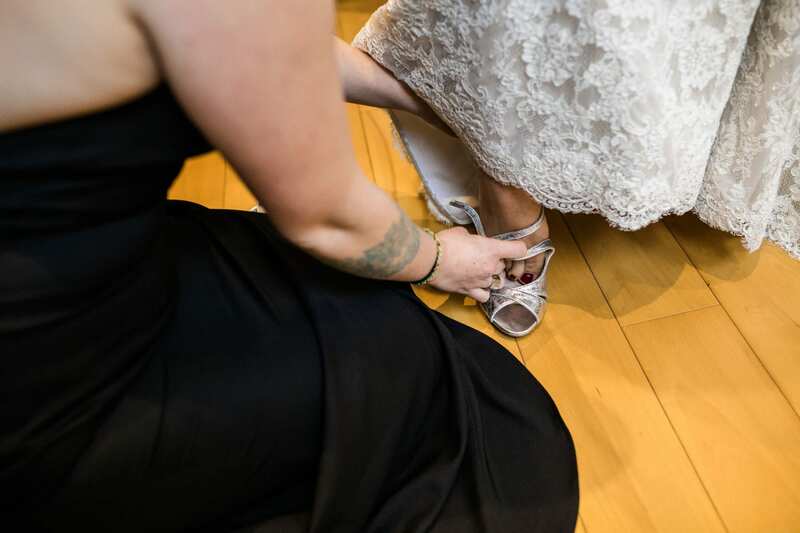 If you’re planning a wedding at Manchester Museum I would love to hear from you. 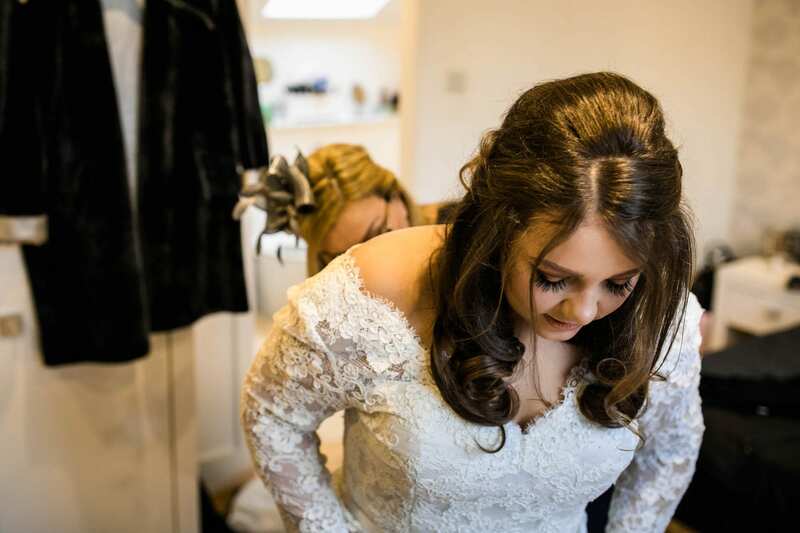 You can read more about booking your wedding photography with me at my experience page. 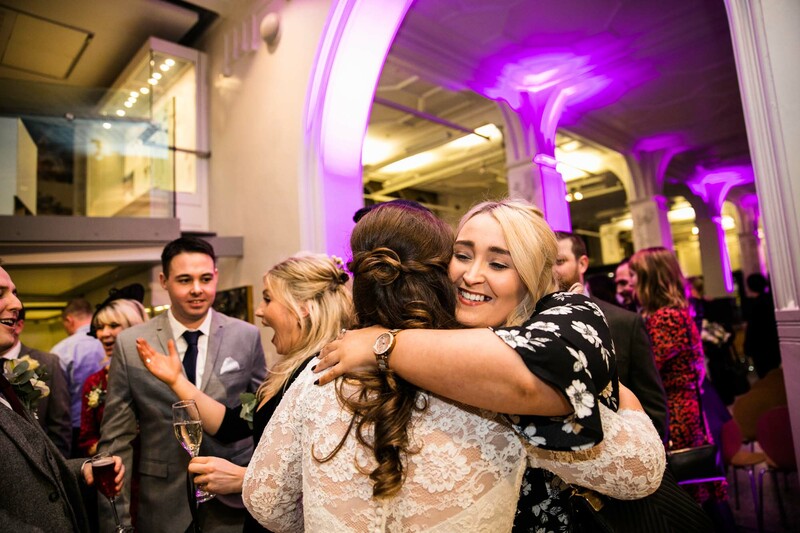 Head to my contact form to get in touch with me to book a consultation to discuss your wedding at Manchester Museum further. 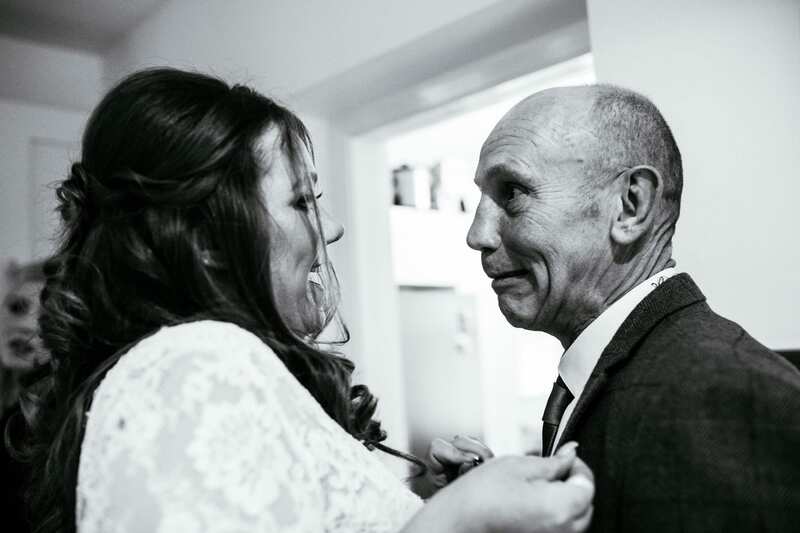 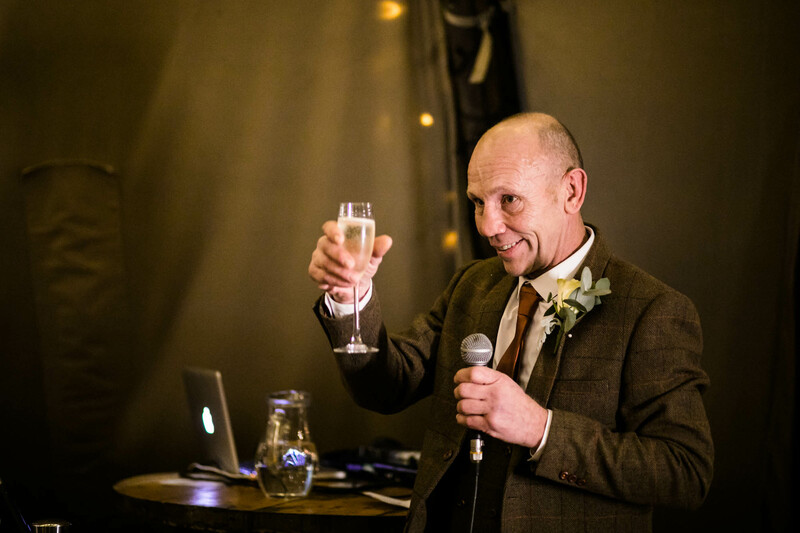 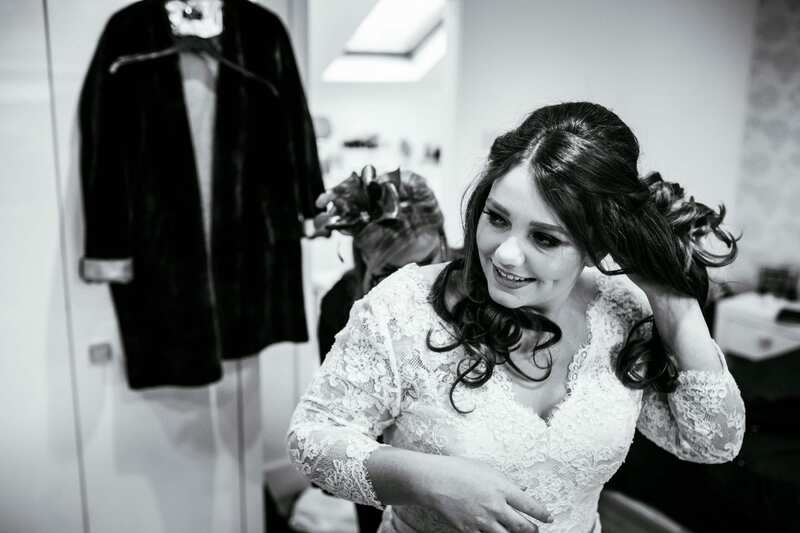 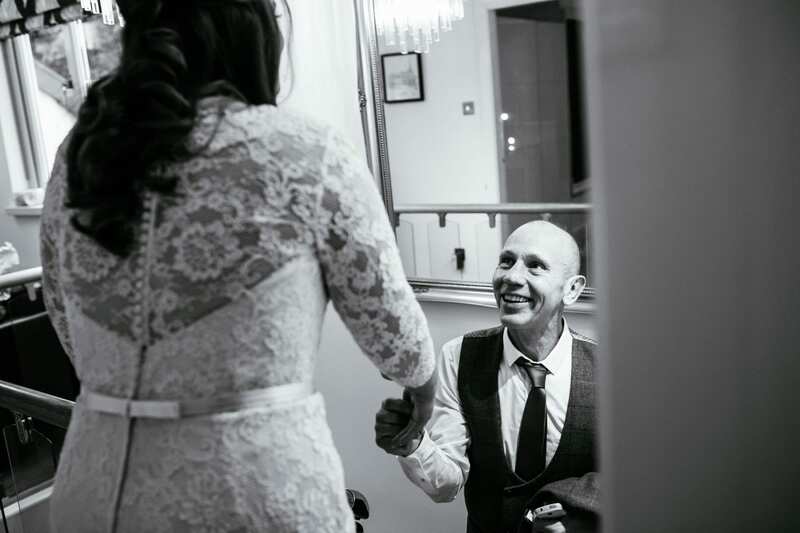 For more Manchester city centre weddings head to my blog where you can see other quirky wedding photography in Manchester such King Street Townhouse Hotel wedding photos or Wedding Photography Victoria Warehouse.